Ms. Luther, member, represents employers in federal and state courts, before administrative agencies, and by providing innovative consultation on how companies can best manage their workforces. 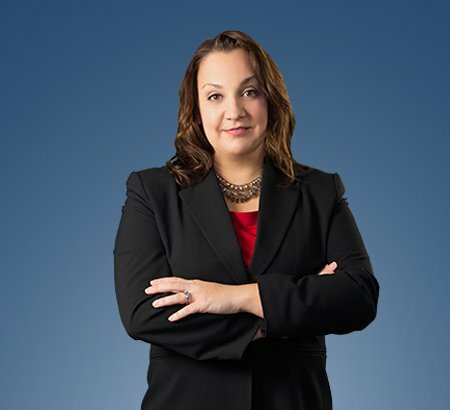 Ms. Luther has represented clients in many industries, from Fortune 500 companies to small family owned businesses, with a particular focus in the automotive, manufacturing and health care sectors. Ms. Luther regularly lectures at seminars designed to educate clients and organization members on various aspects of employment law. Managing FMLA leaves, the impact of recent U.S. Supreme Court decisions on the workforce, and compliance with the Americans with Disabilities Act are several topics Ms. Luther has addressed recently. Successfully defended employers in claims alleging discrimination, wage and hour violations and other employment matters in courts and administrative agencies across the country. Developed common sense employment policies and strategies designed to minimize litigation. Advised on employment matters through a company’s life cycle – from the start of a new company through reductions in force and business closures. Represented employers on OSHA matters and related safety requirements. Counseled employers on Affordable Care Act compliance. Represented employers in non-competition and trade secret claims. Provided training to all employees – from senior executives to hourly workers – on employment related matters. When not practicing law, Ms. Luther is involved in the community and the legal profession. She serves on the board of the Greater Southeast Michigan Society for Human Resource Management, the Human Resource Association of Southeast Michigan, St. Kateri Catholic Schools, and the Oregon Economic Development Foundation. Ms. Luther also serves as the chairperson of the employment law committee for the Ohio Association of Civil Trial Attorneys (OACTA). Ms. Luther has been named an Ohio Rising Star for several years, most recently in 2015. She also was recognized as OACTA’s committee chairperson of the year for her service to that organization.